A high performance network is a ‘must-have’ for a functioning IT infrastructure in any company and network monitoring is essential in order to keep track of everything. Why network monitoring is critical for every IT infrastructure. 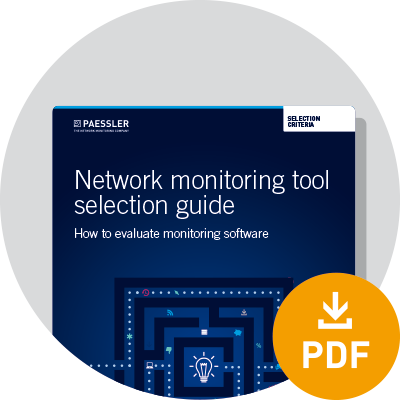 How network monitoring solutions can be classified and which one is right for you. Which selection criteria you need to consider in order to get the monitoring solution that is right for you. ...and be sure your network monitoring solution fits your needs.